For their second production of its quintessential 48th season, Ballet Philippines, the first resident company of Cultural Center of the Philippines presented internationally acclaimed classic repertoires from 1970 to 1980. Founded in 1969 by National Artist for Dance Alice Reyes and Eddie Elejar, is the preeminent classical and contemporary dance company in the country widely recognized today as a cornerstone of contemporary Filipino identity." THE EXEMPLARS: Amada And Other Dances " featured notable and unforgettable creation and showcased collaboration of both resident and guest artists of the dance company. 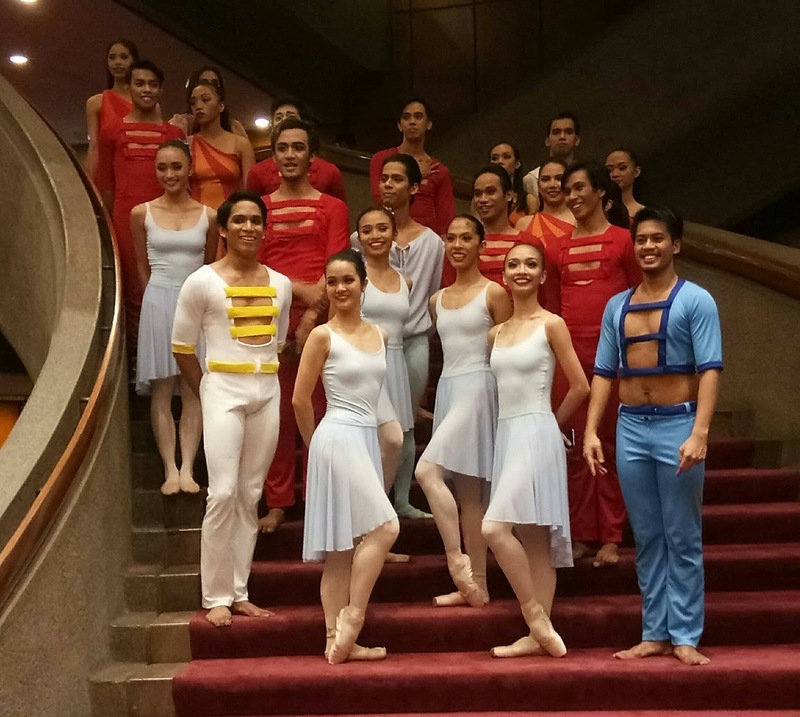 This production is a rare opportunity for the audience to experience Ballet Philippines' signature style and identity. The show in two acts presented, " Ang Sultan " by Gener Caringal (1973), " Concertino " by Pauline Koner (1973), " Amada " by Alice Reyes (1970) " Valse Fantasy " restaged by Nonoy Froilan and Adam Sage after Muñeca Aponte with inspiration from George Balnchine (1974) and " Songs Of A Wayfarer " by Norman Walker (1973). From high level of jumping, tiptoeing and standing, middle level of sitting and kneeling and low level of cringing, rolling and lying the improvisation and inversion left an outstanding and amazing impression. The space and stance created during the variation of pas de bourree, pas de chat and piroutte was beautifully, dramatically and theatrically executed. And whether if it's a regular versus simultaneous and starting versus ending canon movements these ballerinas swayed and swinged. The dynamics were also evident from direct or indirect space, sudden and sustained time, light or strong weight and the flow whether free, bound or continuous. Guest artists Candice Adea (Amada and Bride) and Ronelson Yadao (Young Man and Don Rafael) danced interpretatively both in Amada and Songs Of Wayfarer. Adea from being a sophisticated aristocratic then tranforming into a dark woman was a convincing act. Songs Of A Wayfarer premiered in 1973 with Ronelson Yadao's older brother playing the Young Man. On its ruby anniversary, Yadao owned this critical and popular repertoire as he dramatically revived and reprised with his own artistic interpretation of a grieving heroic man as his love is being wed. The Exemplars: Amada And Other Dances runs from October 20, 2017 at 8pm, October 21 and 22 at 2pm and 8pm, at the CCP Main Theater Tanghalang Nicanor Abelardo and on October 25, 2017 at the Globe Auditorium, Maybank Theater, BGC Arts Center. Call Ballet Philippines at (632) 551-1003, CCP Box Office at (632) 832-3704 or Ticketworld at (632) 891-9999.